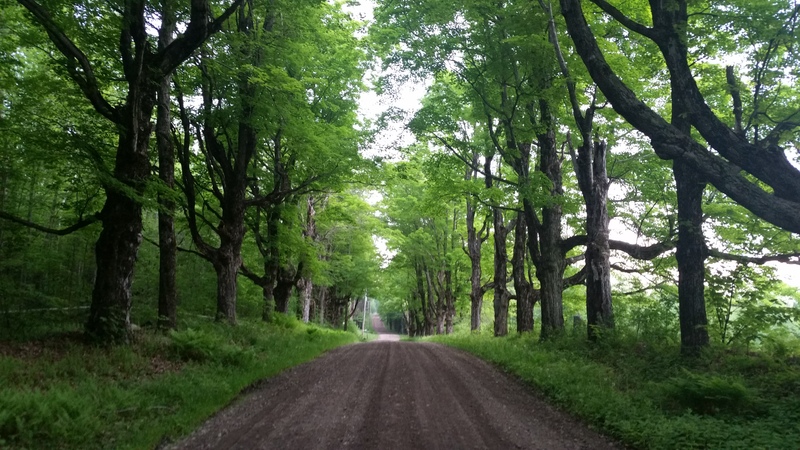 This is the maple tree lined dirt road that leads to my brother’s summer cabin in a remote area of the Berkshires that I walked the first time Memorial Day weekend. Although I had never previously been there, the trees felt strangely familiar and very comforting, like old friends. How do I know? I’ve been decorating my pottery with these trees for years and what a relief it was to finally experience what my brain has been visualizing all these years….now I know what trees (or old friends) are calling me; I just have to figure out why! 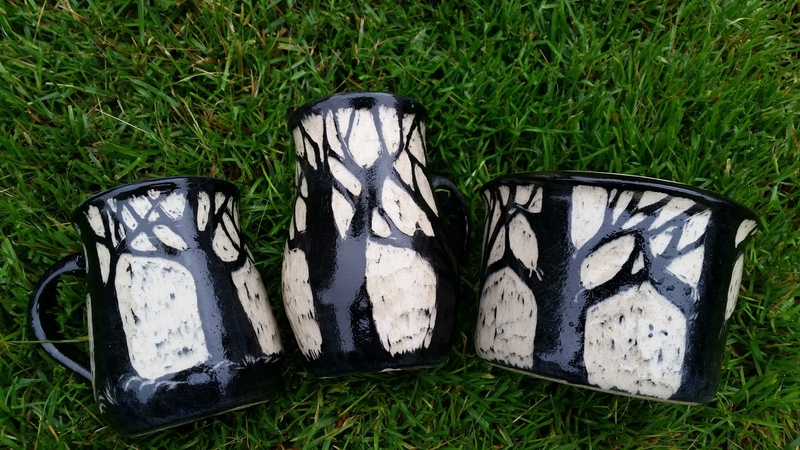 Tree conversations in my pottery—a new language….does anyone speak “tree”? Looking forward to many more conversations with old friends….